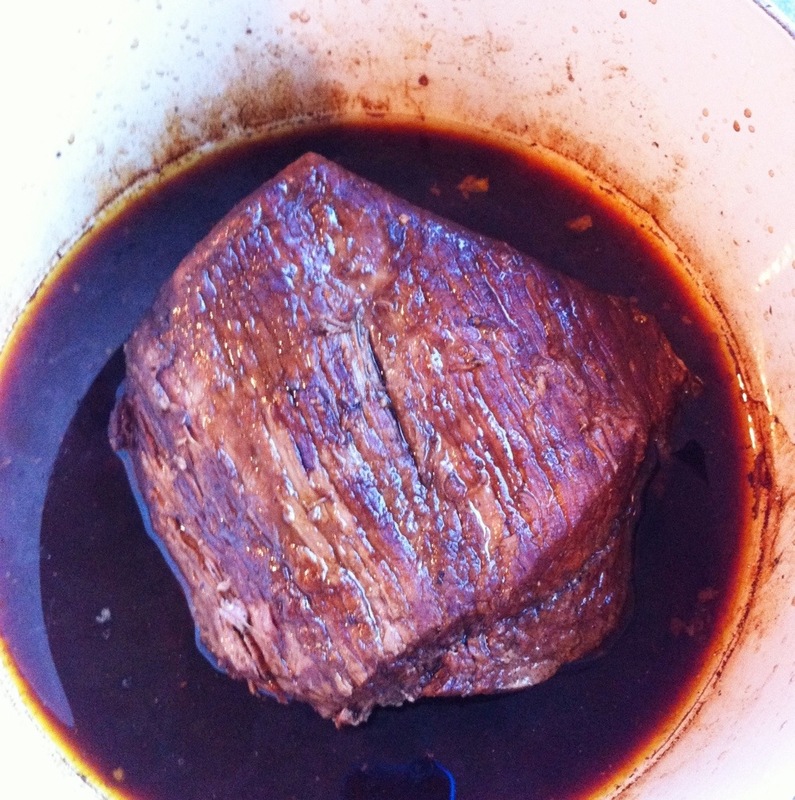 Time for an update to one of my favorite recipes – brisket! Hard to believe I published this 3 years ago. Mostly the same but added a few steps and made some updates. I slow cooked a brisket for Christmas dinner this year. Not only did we enjoy brisket with dinner but it made amazing tacos and egg burritos the following days when we didn’t feel like cooking. My friend Jessica makes an amazing brisket. It’s the perfect mix of moist and lean that’s nearly impossible to find at a restaurant. Her secret is marinating the meat overnight in liquid smoke and celery salt before cooking low and slow. The meat is wonderful alone, in tacos, over salads or rolled in an enchilada. Last week I used the brisket to make a knock off of Ryan’s favorite taco, Crossroads from Torchy’s in Austin. 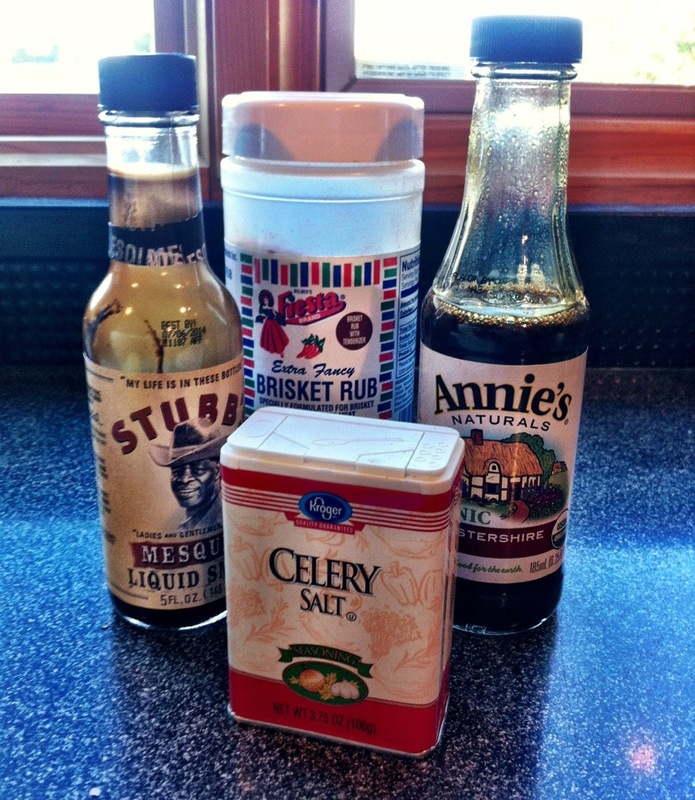 Here are the meat ingredients I used; liquid smoke, brisket rub, Worcestershire, and celery salt. After marinating and bringing meat to room temperature it’s time to cook! A quick sear on the flat top grill pan adds flavor and keeps the juices in the meat longer. I used my covered dutch oven pan. Jessica uses a roasting pan lined in foil, which makes for an easy clean up. Keep basting the meat with juices from pan while it cooks. 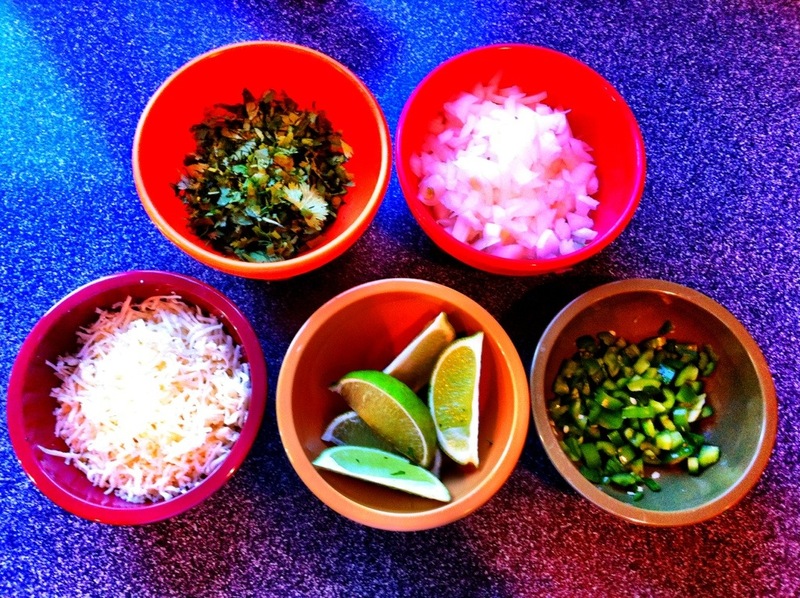 When I make tacos I like to set up a taco bar and allow everyone to build their own tacos. Our spread included; cilantro, white onion, diced jalapenos and serranos, limes, shredded hatch cheddar, and avocado slices (not pictured). Here’s the final product. Not exactly like Torchy’s but its darn close! How would you use brisket? 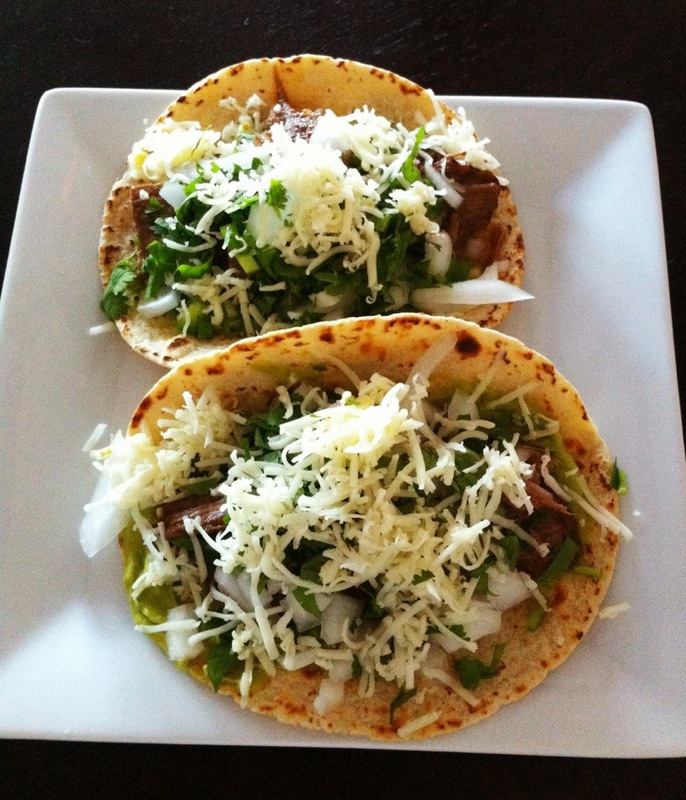 Tortillas – I used La Tortilla’s white corn- my fave! Meat will take 4-5 hours total to cook. You will see it start to shred on surface when its done. Allow meat to cool in pan and slice!